The Bournemouth Natural Science Society (BNSS) is thrilled to announce the winner of its inaugural President’s Award, which was presented at the Society’s AGM on Saturday 10th December 2016. This new award has been created to recognise the individual who has contributed the most to the furtherance of science or has inspired to others to do so this year. The many amazing people who were nominated for the Award show that science is thriving in Bournemouth. The winner for 2016, known to many in and around Bournemouth, is Richard Hesketh. Formerly a Ranger at Hengistbury Head, Richard is now Volunteer Co-ordinator with Bournemouth Parks Department. Described in his nomination as having charm, enthusiasm and as being the ‘genuine public face’ of the Bournemouth Parks Department, Richard is knowledgable ecologist, ardent ornithologist and passionate astronomer. In 2007 Richard started the Monday Meanderers which quickly attracted a loyal following. 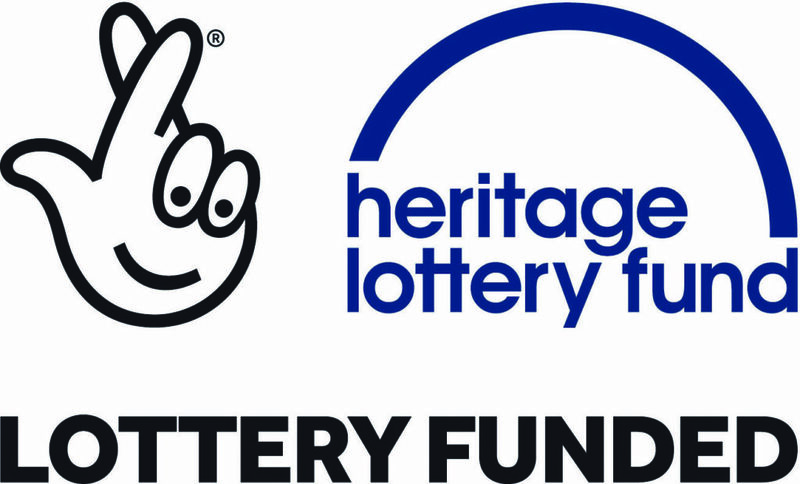 These guided walks introduced the uniqueness of Bournemouth’s various parks and open spaces to the public, whose appreciation will help ensure their continued survival. 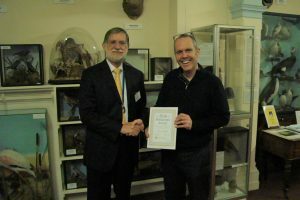 Richard receives one year’s free membership of the BNSS, a £50 book token, a certificate, a signed copy of ‘The Natural History of Bournemouth and the Surrounding Area’ and a private tour of the Museum. The nominations were so strong that the President chose to introduce two additional commendations. Bob Mizon, for his astronomical work with local schools and as Chair of the Campaign for Dark Skies and Sarah Sumbler, Lead Technician at St. Peter’s Catholic Academy in Southbourne, for her enthusiastic work engaging young people in science. Both receive a commendation certificate and book.